Still - in 2017 - we meet businesses that have not engaged with Google reviews. Why? It took years for Google reviews to gain traction - and during that time some businesses were lulled into thinking they did not/would not matter. But now they do - and how. 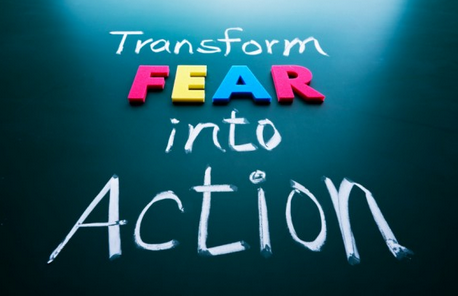 HelpHound - and professional review management - will help you overcome the fear - we promise! Completely understandable. What business would willingly risk its reputation? How can a business know, or at least be as confident as possible, that its customers will not write inaccurate or misleading reviews? *there is a subset here: businesses that genuinely don't provide a good service or value for money - the kind we see every week on BBC's Watchdog - and thank goodness for Google reviews in their case. Three years ago they would have got away with it, now there's a good likelihood that a significant number of their customers will find their way to Google and write a review there. The rule for consumers in the second decade of the 21st century? Don't use a business that has no reviews on Google - and be wary of businesses that promote their reputations on independent reviews sites instead. unhappy customers will write reviews - in rapidly growing numbers. See the examples under 'We don't need to' above. Businesses that have committed to independent reviews sites over the last few years suddenly realise they have the wrong solution - Google is all. consumers will question why you have reviews on an independent site (if they see them) - why wouldn't you have them on Google? will my reviews show under my listing in organic search? do you have a CMA compliant* system that minimises the chances that an inaccurate or misleading review will be posted? do I own my own reviews? can a customer post a review of my business at a time of their choosing? why should I choose to get my customers' reviews to your site and not Google? *it continues to amaze us that there remain reviews sites out there in the marketplace whose systems fly in the face of the Competition & Markets Authority's rules. If are unfamiliar with these we recommend you spend ten minutes reading this article - compliance is the individual business's responsibility and has the force of law. Local Heroes? Maybe there is a better solution?